After what you’ve been through, you’ll need a health professional that truly understands soft tissue injuries, spinal biomechanics and rehabilitation strategies. Unfortunately when is come to the spine and biomechanics of the body, it is out scope for most medical professions and does not get properly diagnosed. 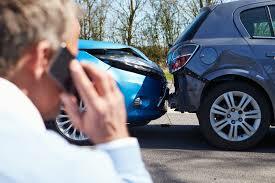 If there is a claim filed we work with all insurance companies and attorneys. If you’ve been in a car accident, give us a call. We’ve been through this many times. Not only can we usually offer drug-free care, we can help put this behind you once and for all. Your spine might have been injured. Since the nerves of the spine extend throughout the body, you may be experiencing pain in other areas of the body. The arms and hands are very commonly affected from this, due to the connection from the cervical region of the spine. Your body will adapt to its environment and things that have happened to it. So whether you’ve been in a car accident or you’re experiencing stress in the workplace, you’ll adjust—but the body can only adjust so much. Problems such as headaches may appear days or weeks after an accident, as the body may heal in an abnormal position. After receiving proper attention from a chiropractic doctor, many patients have experienced a dramatic reduction in their symptoms after accidents. Every person is different as well as every accident so the time frame vary from case to case. However, if you put off getting an examination and care afterwards, it’s possible to worsen or extend your spinal issues.